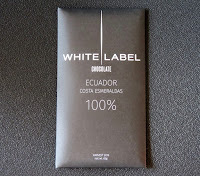 Welcome to Day #6 of Chocolate and Ecuador Theme Week. 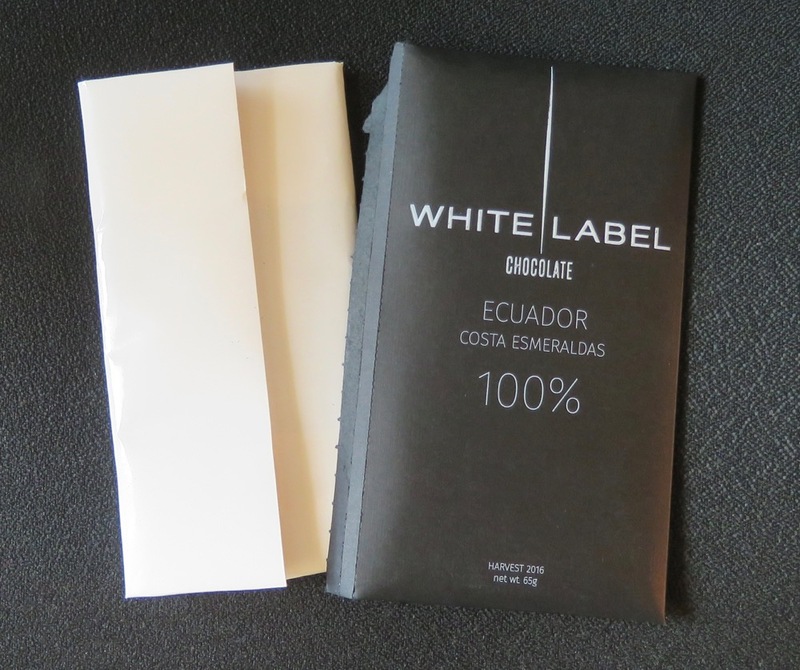 Today's White Label Chocolate Ecuador Costa Esmeraldas 100% Cacao bar was purchased at Mutari Chocolate House and Factory (Santa Cruz, CA). This bar was more savory than sweet. It did have a fleeting fudge note, and relatively balanced bitterness all the way through that alternated with some sharper fruit acidity. There were also very faint spice (cumin, caraway), buttermilk and salty notes in this chocolate. For those trying to get away from sweet flavors on the chocolate tasting wheel, this may be your bar. This chocolate might be an interesting ingredient in (or shaved over) other (savory or sweet) items (mole sauce, brownies, salt caramel ice cream, pumpernickel bread and stout). 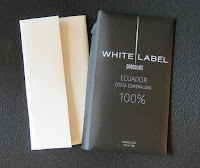 I have many memories of 65% to 75% Ecuador bars with subtle floral and green notes. 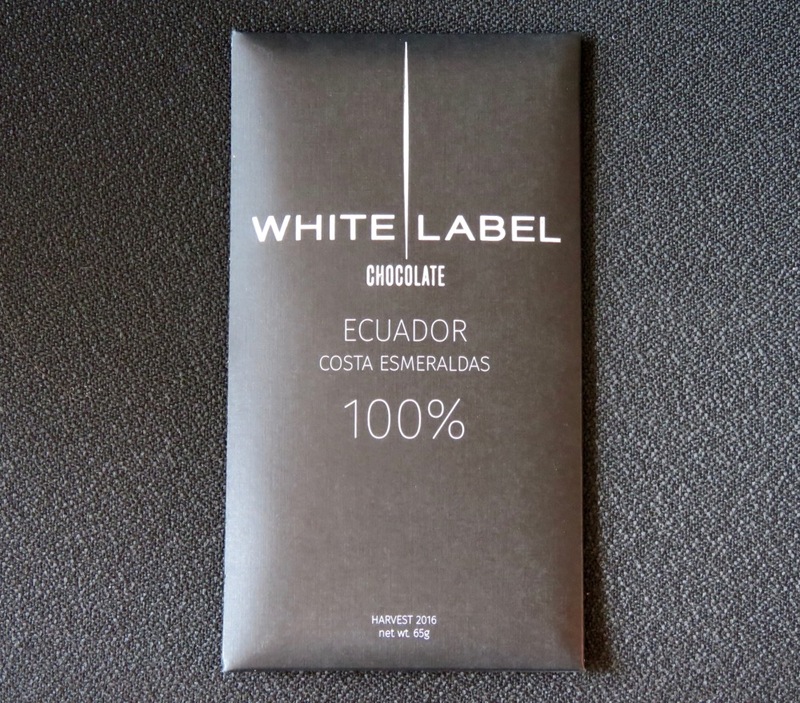 However, this week has been filled with ultra-high percentage bean-to-bar chocolate made from cacao grown in Ecuador. (Five of seven bars contained greater than 90% cocoa, including one 102% bar (with nibs)—a new high percentage record for an individual bar.) So, there was only a fleeting aroma or taste of floral or green notes this past week. Floral notes are also some of the most delicate and volatile, and may disappear during a prolonged conching (grinding of beans into chocolate) process. The differences in aroma and flavor notes of course are also the result of the farm (terroir), fermentation, roasting, and many decisions made when crafting chocolate from bean to bar.